It was just last year when "Batman vs. Superman: Dawn of Justice" came out. Warner Brothers was working tooth and nail to tell the world how much we needed to see this movie. If we didn't see it, our lives were worthless, and that there would not be a bigger movie that year. I believed it. No matter how much of a Marvel fan I am, and no matter how much I notice how successful Marvel has been, I thought for sure that Batman and Superman together would destroy the box office that year. The two most iconic superheroes on the planet finally sharing a screen, what could go wrong right? Despite DC's one-two punch not making as much money that they had hoped, and receiving mostly bad word-of-mouth, the studio is still full steam ahead with their DC cinematic universe, and now it seems like they are trying to borrow from their rivals at Disney, making a more upbeat movie for bringing their heroes together. Look, I don't think there is anything wrong with DC going more serious and gritty compared to Marvel. It all just comes down to making your movies good, offer a genuine experience and write to theme. "Batman vs. Superman" failed for most viewers because the characters didn't seem like themselves, much of it didn't make sense, and it felt like if you didn't have 75+ plus years of DC comics knowledge, then you were sunk on any storytelling level. 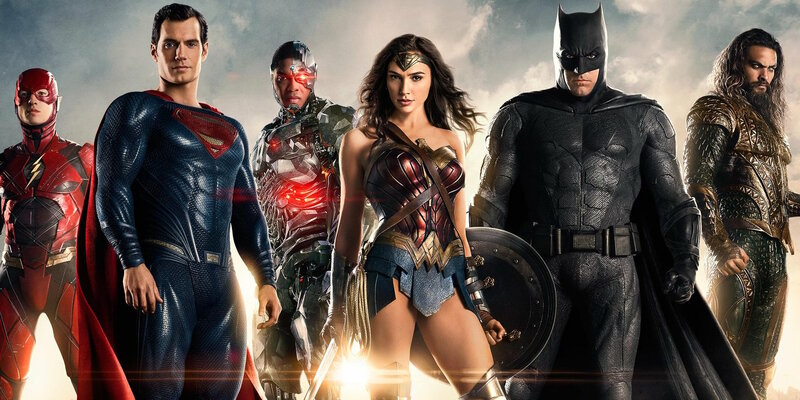 If Snyder can tell us why each member of the "Justice League" is unique, if he can articulate their need to come together for the greater good, if we can get to know these characters and watch them step up against a threat where they need each other, then "Justice League" will be something people want to see over and over again. Right now, there is still lots of skepticism. I mean I personally have a really hard time buying Ezra Miller as any kind of superhero, especially someone as upbeat as The Flash. Cyborg looks like he came out of a cheap YouTube show. I like that they are battling the parademons but can Snyder make them come off different to say, The Chitauri and Ultron? Ultimately, I am still on board. There is plenty that still interest me. I want to be excited every year DC releases a superhero movie. But the key is simple, just make good movies. People get fired up for, people remember when they leave the auditorium for all the right reasons. Its an emotional response, not rocket science. Don't overthink it.